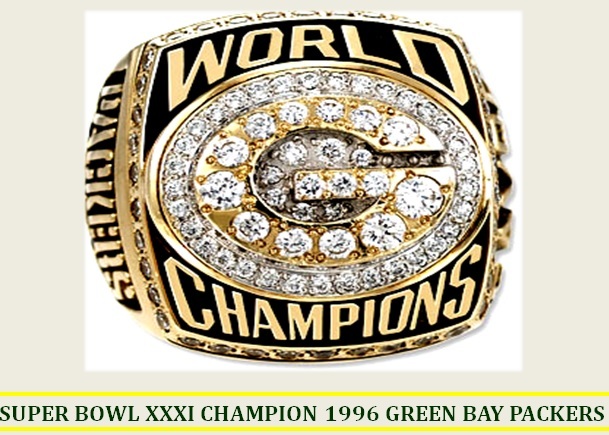 Reggie White, Mike Holmgren, and Brett Favre brought the term “Titletown” back to Green Bay when they beat New England 35-21 in Super Bowl XXXI. 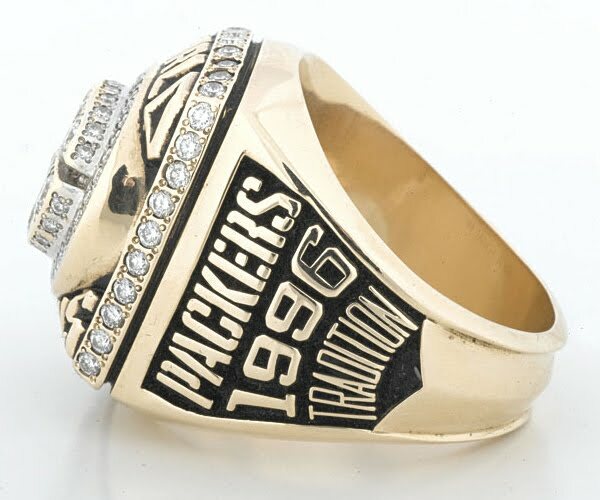 It was fun to actually have a champion Packer team in my lifetime because it had a great feel to just say it. The championship had been gone from the land of Lombardi for 29 years. One of the strongest teams of the 1990s and maybe the strongest team in Packer history. This team had absolutely no holes and overcame injuries to receivers Robert Brooks, and Antonio Freeman (playing the latter half with a plate in his arm). With Brett Favre throwing a conference record 39 TDs. They wound up becoming the first team since the ’72 Dolphins to score the most points (456) while allowing the fewest (210). Although they were 13-3 with Brett Favre coming of age, they needed that signature game which would show the league they were going to win it all. In came the perennially strong San Francisco 49ers for the divisional playoff. The NFC Championship was fitting in that it pitted the Packers (NFL’s richest tradition) against the NFC’s newest team in the Carolina Panthers. I’m normally an underdog guy, but not this time. 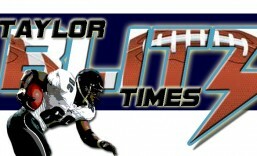 Especially after watching the 1995 Packers get jobbed with a ton of bad calls in the Championship game in Dallas. Talk about a twelfth man…damn! That game left you feeling like the best team didn’t win but set the course for this team to dominate 1996 from start to finish. Possibly the first true champion of the free agent era. Reggie White (Eagles), DE Sean Jones (Oilers), FS Eugene Robinson (Seahawks), Mike Prior (Colts), TE Keith Jackson (Dolphins), WR Andre Rison, and KR Desmond Howard (Jacksonville) gave the Packers a veteran group that added to the team’s sense of urgency. Not bad for an organization that was used arguing against free agency. It was expressed the Packers wouldn’t attract black players if true free agency came to the NFL. Once they nabbed Reggie White, the rest was history. Now let’s be honest, this team should have gone back to back but Holmgren over-coached against the Broncos in Super Bowl XXXII in 1997. Dorsey Levens was ripping off 13 yd runs repeatedly in the first quarter and Holmgren took the ball out of his hands. Which fed right into the blitzing Broncos and the Pack was having a problem picking them up which forced the fumble and interception that forced Green Bay to play catch-up. Further taking the ball out of Dorsey Levens hands….of course that’s just my opinion I could be wrong. The 1996 Green Bay Packers were a meteor that you could see coming from a year away. A game New England Patriots team tried to stop them and narrowed the score to 27-21 when Desmond Howard brought the house down with a 99 yard return. Game…set…match 35-21 and the Lombardi Trophy returned to Green Bay. The Super Bowl XXXI Championship Trophy in The Packers Hall of Fame visited by The Chancellor Alumni Weekend 2017. This article is dedicated to the memories of Fritz Shurmur, Reggie White, Wayne Simmons, Pete Rozelle, & Vince Lombardi. This entry was posted in Ring of Champions and tagged 1996 Green Bay Packers, Brett Favre, Desmond Howard, Green Bay Packers, Mike Holmgren, Reggie White, Super Bowl, Super Bowl XXXI. Bookmark the permalink.